Here at Crochet Divas, we strive to bring you great information and resources to help you improve your crochet skills and create beautiful projects! 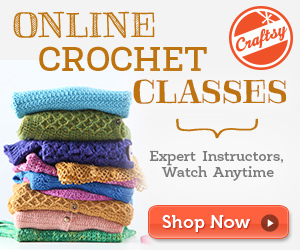 From time to time we will be sharing with you our favourite, and what we think are the best, crochet patterns you can find online to download for free. So we do the research for you, to help you save time, as well as discover new resources and website you had not come across before. It’s time today for bringing to you a selection of free crochet patterns for you to check out, to help inspire your next crochet project. In this post we’re focusing on crochet patterns for baby sets… sets that include hats, booties, vests, mittens and blankets. Different patterns will include different items, but all the links below will point you to lovely and totally adorable free crochet patterns for baby sets. If you have a precious bundle of joy on the way, these are perfect for you! Of course these also make lovely baby shower and welcome bay gifts to give to friends and family. I love to crochet baby items, because they are too cute! So if this is something you are looking for, you will enjoy the list below. To access the patterns simply click on the link, and follow the instructions on that page to download the free pattern. Before sharing with you the list, if you’re new to Crochet Divas, I want to point out our previous free patterns posts to ensure you are aware of all the goodies we share on the website! In the past we have share free crochet patterns for: baby booties, baby blankets and baby hats! Please note: Each link points you to the page where you can access the free crochet pattern; all these have been checked so as to ensure they are totally free of charge at the time of publishing. Some websites might require that you register with them before being able to access the pattern, but this is also free.